“Simplicity” is often seen as a dirty word in gaming, but it needn’t be so. There’s a place for games that just do what they do and do it well rather than aiming for the sky and falling flat on their face. 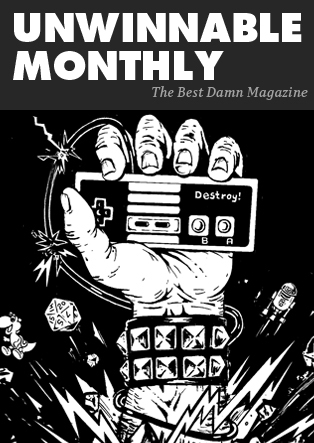 Sure, we’ll always be there for games that attempt to immerse us in living, breathing worlds, but sometimes all we want is a nice tight experience that’s all about the gameplay. When we’re in the mood for something like that, we’ll head straight for the hyper-casual market. This is a relatively new term that encapsulates games stripped right down to the bone, games with no leveling system and no objective-marked quests to follow. Instead, hyper-casual games often consist of one gameplay concept repeated over and over again, with the aim being to get better at that single concept over time. Such is the case with Tastypill’s Sling Drift. Tastypill is a somewhat mysterious and unique entity; we couldn’t find any info regarding their actual whereabouts or much about their personnel. This does kind of fit with their remit, since they’re mostly a studio focused on games rather than huge industry personalities. This Sling Drift game we find ourselves with isn’t any different in this regard to their usual output. There isn’t much in the way of narrative background in Sling Drift, which fits with the game’s hyper-casual tone. You control a car – or, perhaps, the car is controlling itself – and your objective is to keep going until the car no longer wishes to and comes to a halt. Usually, that happens when it collides with a wall. This is a facetious way of saying that Sling Drift is kind of an endless runner. There are effectively two factors to Sling Drift: the track itself and the corners you must turn if you’re to beat your own score on a run. The track winds along endlessly, and each time it curves it’s punctuated by a round node-type thing. The trick here is to attach your car to the node and drift around the corner using the momentum generated by your attachment. Yes indeed – if you’re looking for a conventional racer, you won’t find one here. Sling Drift doesn’t actually allow you to manually turn or even really control the car by yourself. You’ll only be able to turn when one of these nodes makes itself known to you, so if you’re on the wrong trajectory while you’re turning, then it’s curtains for you and your burgeoning career as a self-driving car developer. In practice, this means that Sling Drift hones its focus down to a laser point. There’s no way to save yourself once you’ve committed to a bad turn; you’ll have to live with the consequences of each decision you make, and if you came out of a corner poorly then you’ll simply have to restart. In this way, Sling Drift tests its players’ skills and accuracy more successfully than many triple-A games we’ve played. Don’t worry, though. 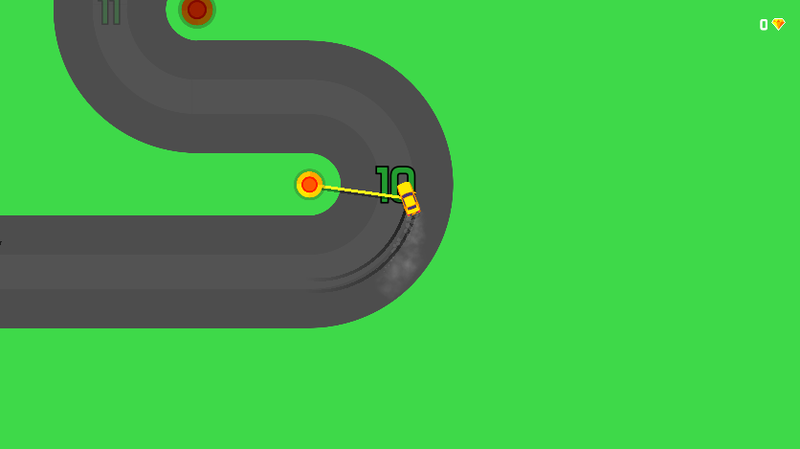 If you fail in Sling Drift, the punishment is not harsh in the slightest. All you’ll be faced with is a return to the beginning of the track, which – considering that the core gameplay and objectives don’t change too much throughout the experience – isn’t too bad at all. 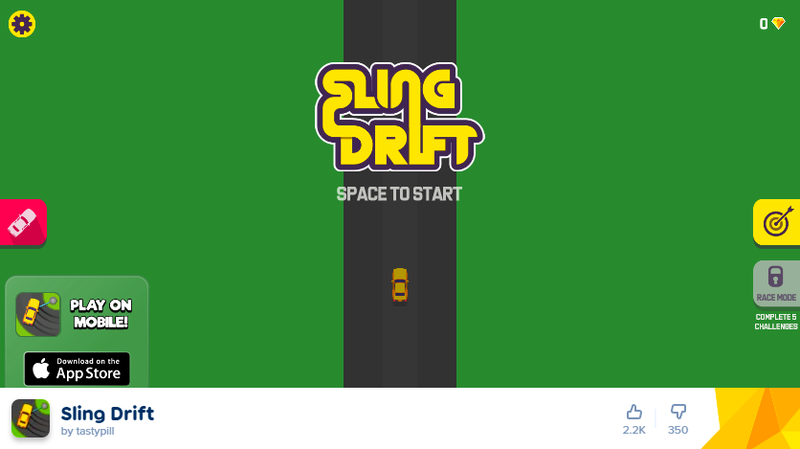 Sling Drift is a game that never becomes frustrating or annoying no matter how many times one dies. That’s good, too, because the core gameplay loop on offer here is excellent. There’s something incredibly mesmerizing about Sling Drift and the way the car loops and winds its way around the myriad twists and turns of the track. Shooting out the rope to attach yourself to the node, swinging round a corner, and effortlessly launching yourself into the next one has the same cathartic quality as swinging in Spider-Man games. As we said earlier, the core gameplay is kind of all Sling Drift has, so it’s a good thing it’s so addictive and compelling. There are two modes on offer here: a see-how-far-you-can-get arcade-style mode, and a racing mode which adds other cars to the fray. The racing mode is chaotic and enjoyable, but the meat of the experience is to be found in the former main mode. 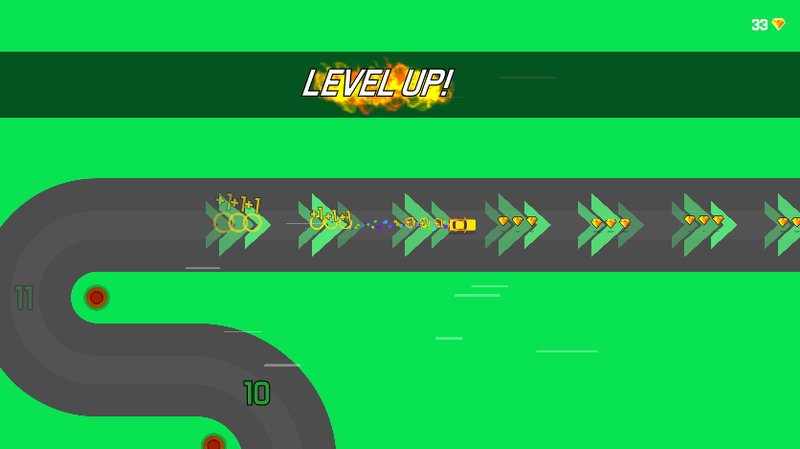 While you’re playing Sling Drift, you’ll accumulate in-game currency which can be used in a couple of clever ways. 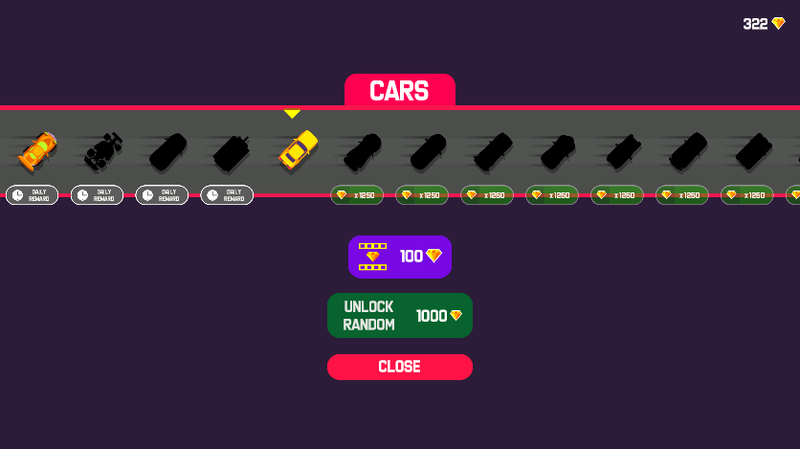 You can grab in-game skins for your car, transforming it into well-known vehicles or off-the-beaten-track options like tanks or limos. Alternately, you can use in-game currency to skip particularly difficult challenges, which is an option we’d thoroughly recommend since you’ll need to cash the challenges in to move on to the next one. These challenges are a great wraparound device for the main action of the game. In each run, you’ll be tasked with doing something like surviving for a certain amount of turns or scoring an exact number of points. Doing so will net you in-game currency, and the challenge list won’t move on until you’ve completed one, so you’ll never be able to complete multiple challenges in one run. This is an excellent way to ensure that you’re never playing a single session for too long. Go into every run knowing what the challenge is beforehand, and once it’s completed, allow yourself to die and start again. Sling Drift mandates breaks in a way that’s clever, organic, and well-implemented. Of course, you could always just continuously play like we did, since we couldn’t tear ourselves away from this game. Sling Drift is an excellent proposition for those looking at a short break or a long unbroken stretch of time alike. There are mechanisms in place here to ensure that you could play for five-minute bursts or for hours at a time without growing bored. 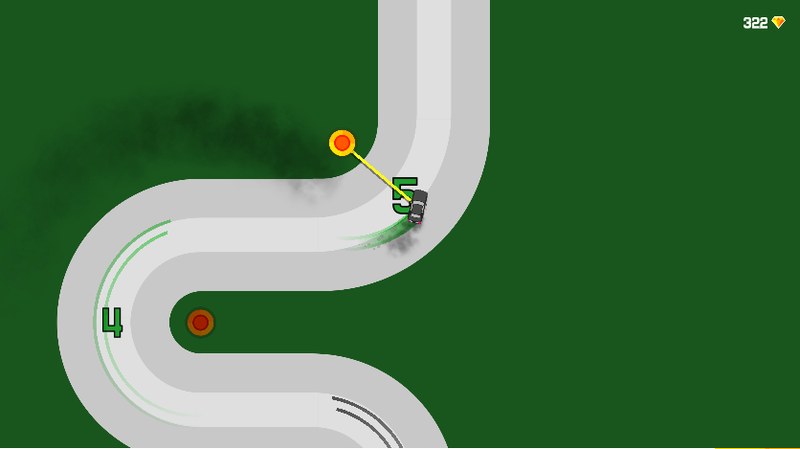 Addictive, simplistic and incredibly fun, Sling Drift is a testament to its developer’s skill.